Sneak Peek at My SC and Vegas Sessions: Sign up NOW! 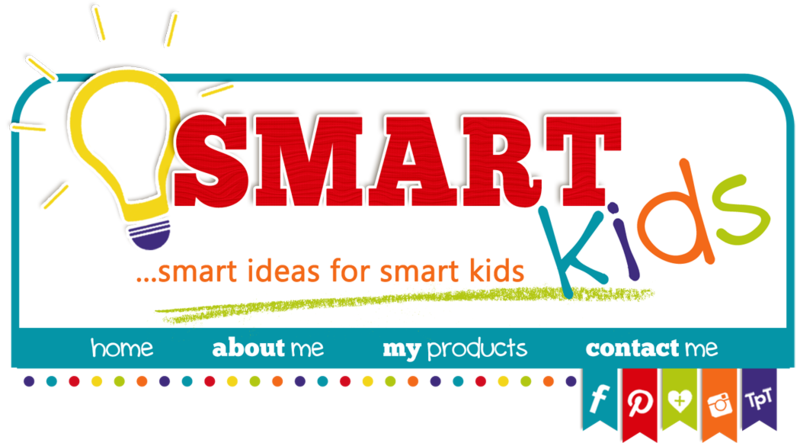 "Work Smarter" tip for February...Sign up for an SDE Kindergarten conference! I've been attending these events since waaaaaay back. I always leave renewed and excited. 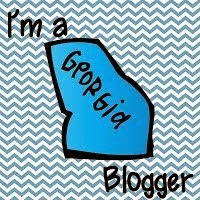 You can find a state Kindergarten conference here. But the mack daddy of all Kindergarten conferences is I TEACH K! in VEGAS. There's still time to get the early bird price, too. Get a group together and you'll save even more. 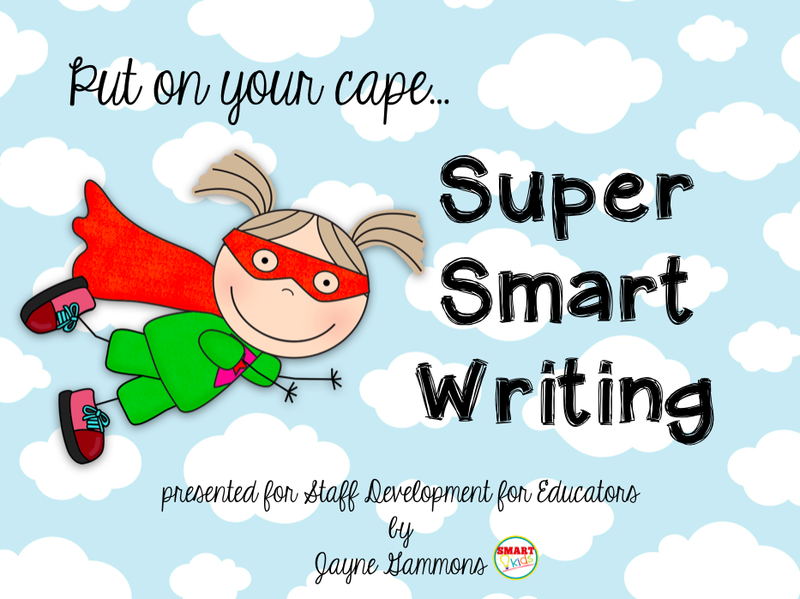 Here's a sneak peek at the sessions I've worked up for I Teach K! in July. I'll also be sharing info with teachers in South Carolina in March, so if you live near the palmetto state, take a day away from the kiddos and come on over to Columbia. 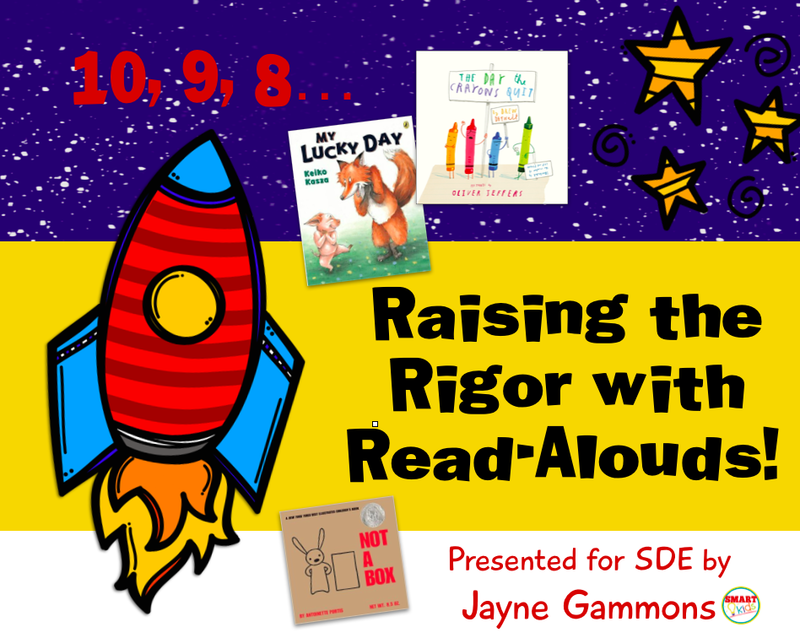 Take your students' thinking higher with read-alouds! In this session, we'll find out what research says about the value of read-alouds.Then we'll look at Bloom's Taxonomy to find ways your readers can remember, understand, apply, analyze, evaluate, and create with stories. 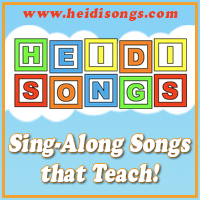 I've got lots of lessons, charts, and activities ready to share! In this session, we'll take a look at the developmental stages of writing with real samples from kindergarten students. 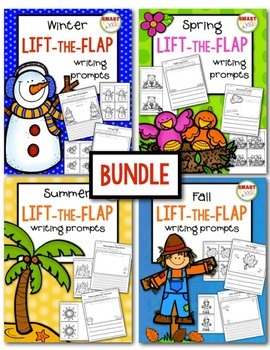 We'll examine routines and centers to help you incorporate writing into your classroom. By viewing videos of children being coached, you'll understand how to help you class create narrative, informational, opinion, and persuasive pieces of writing. 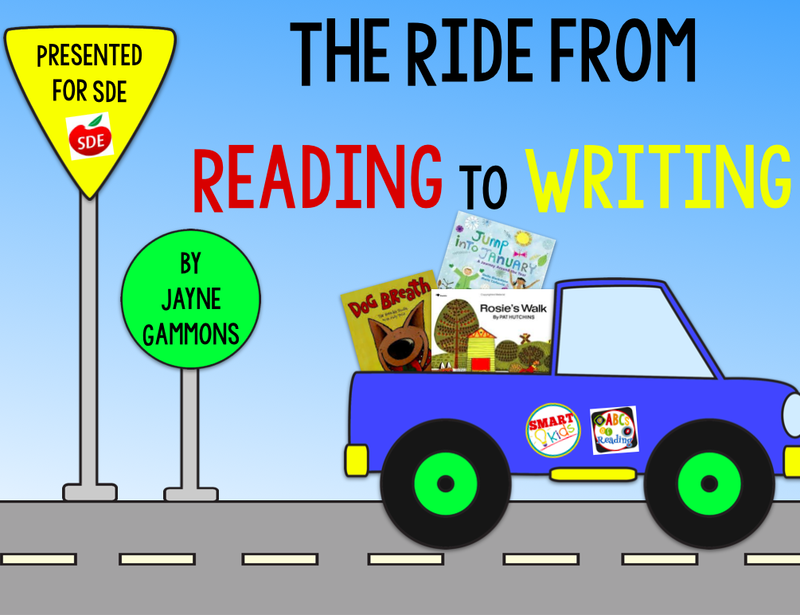 Get your kindergartners ready for an amazing ride that takes them from read-alouds into writing. 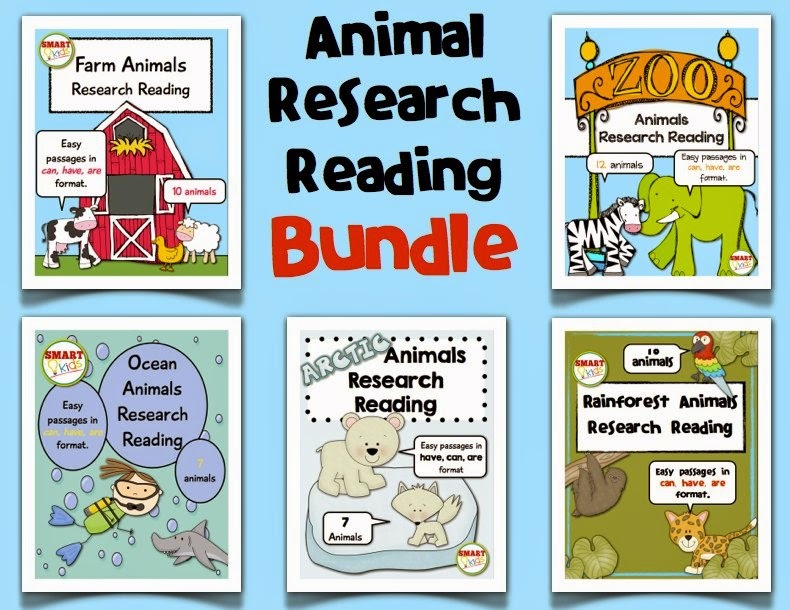 We'll look at the research road signs that connect reading with writing. 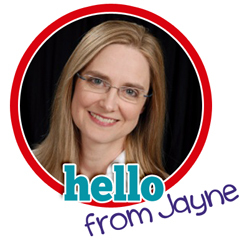 Travel with me through books with plans for charts, prompts, centers, and projects. 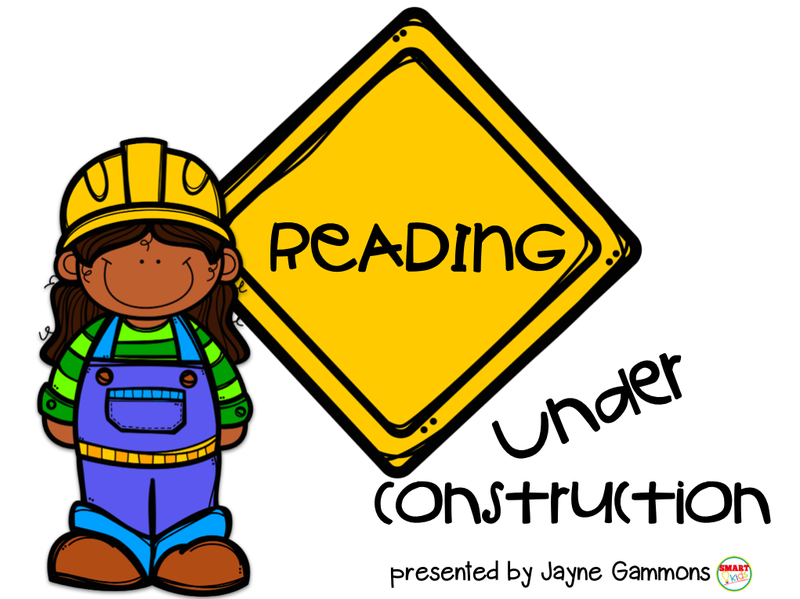 You need lots of tools in your toolbox to run a successful readers' workshop. In this session, I'll help you lay out a blueprint for setting up your schedule. 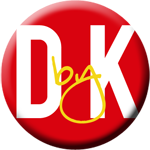 We'll nail down key areas of the curriculum to cover through the year. Sing into schema, dance into determining importance, act out inferences, make visual art using visualization, turn questions into poetry, make music with the meaning of synthesis! Experience ideas for integrating visual art, music, movement, poetry, storytelling, and drama with children’s literature. 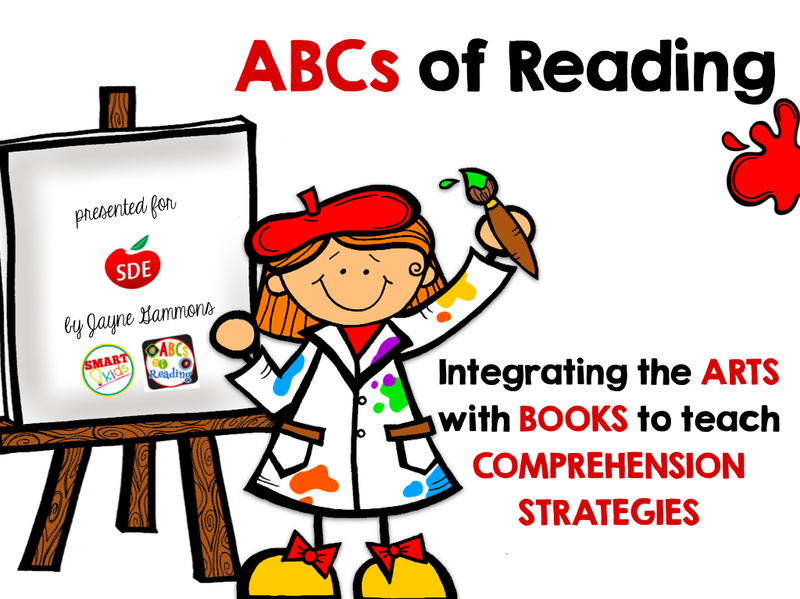 I'll share innovative ways to teach comprehension strategies— making connections, visualizing, inferring, asking questions, determining importance, and synthesizing. 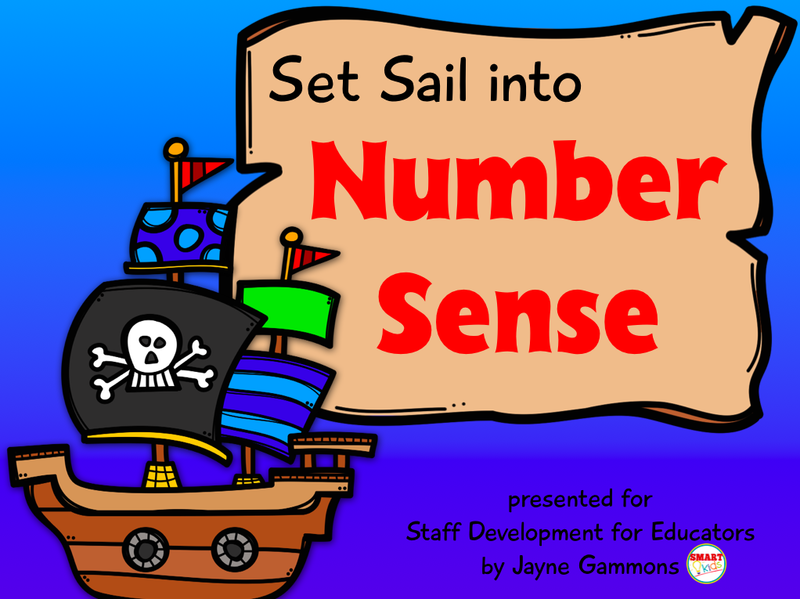 Help your students set sail toward math success! In this session you’ll get a bounty of easy-to-use strategies for developing and reinforcing math skills, number sense and numerical fluency. On the journey, we'll examine the treasure map to find out what current research says about how young children learn these concepts. 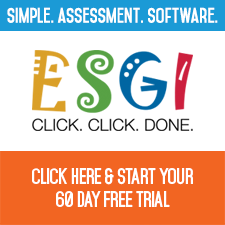 You’ll determine ways to avoid shipwrecks by looking at where children struggle with numeracy. Plus, you’ll also collect some treasures—whole-group lessons and games that easily transfer to center activities. 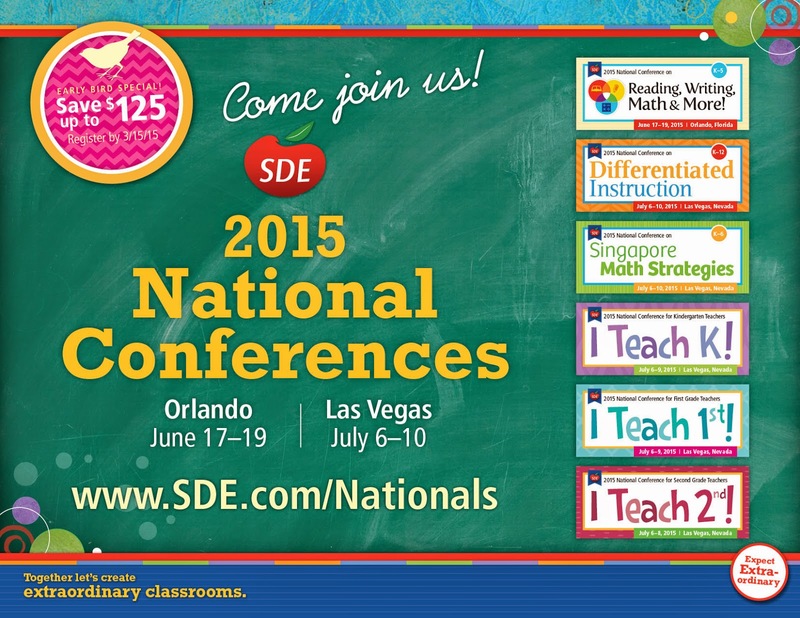 If you attend any of these sessions, please be sure to introduce yourself! See you soon!